Home › Uncategorized › Getting frustrated with Patent Examiners? 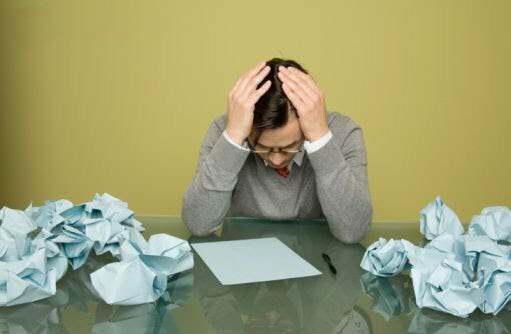 Getting frustrated with Patent Examiners? The following is allegedly a response to an office action in the US by a US Patent Attorney who was trying to win a patent for a telescoping tripod sprinkler cart invented by his client. There are multiple reasons a patent can be denied. One of the most basic is that the examiner doesn’t find that an invention is truly novel. Typically there is a back and forth between the examiner and the patent attorney or agent. Apparently, the Patent Attorney had become frustrated with the Examiner. Numerous examples abound in terms of this particular Examiner not following the law. Clearly, the combination of references would render the final product to be inoperable for its intended use. However, for this Special Needs Examiner, logic just doesn’t cut it. It is manifestly clear that this Examiner has a huge financial incentive to reject patent applications so he gets a nice Christmas bonus at the end of the year. When in doubt, reject right? Since when did the USPTO become a post World War II jobs program? What’s the point of hiring 2,000 additional examiners when 2,000 rubber stamps would suffice just fine? So, tell me something Corky…what would it take for a patent application to be approved? Do we have to write patent applications in crayon? Does a patent application have to come with some sort of pop-up book? Do you have to be a family member or some big law firm who incentivizes you with some other special deal? What does it take Corky? Perhaps you might want to take your job seriously and actually give a sh.t! What’s the point in having to deal with you Special Olympics rejects when we should just go straight to Appeals? While you idiots sit around in bathtubs farting and picking your noses, you should know that there are people out here who actually give a sh.t about their careers, their work, and their dreams. Your job is not a joke, but you are turning it into a regular three ring circus. If you can’t motivate yourself to take your job seriously, then you need to quit and let someone else take over what that actually wants to do the job right. Oof. Ironically, the percentage of applications eventually granted patents has been growing, and last year the figured soared to 89 percent, compared with the more usual 60 percent range. Schroeder and Brueske didn’t even have the law of averages working on their side. Now, I sympathize with the patent attorney in question. Sometimes it looks as if the examiner has not read the patent application. Often it appears that the Examiner doesn’t understand. Nevertheless, we don’t believe that the attitude of the above letter is helpful. Here is my solution. Deep breadth. Hold it. Count slowly to ten, and remind yourself that although Albert Einstein was an examiner (second class) in the Swiss Patent Office, not all examiners are Einsteins. I had a few laughs reading the replies to office actions by attorney Douglas A Chaikin, who at time can be quite irreverent. (Quote – “…unless the examiner has suddenly become US patent Czar…the undersigned repectfully disagrees…”) I looked up his resume and discovered that he is a professor of law with decades of experience.